Madeleine Park started playing the flute almost three years ago in August 2011. 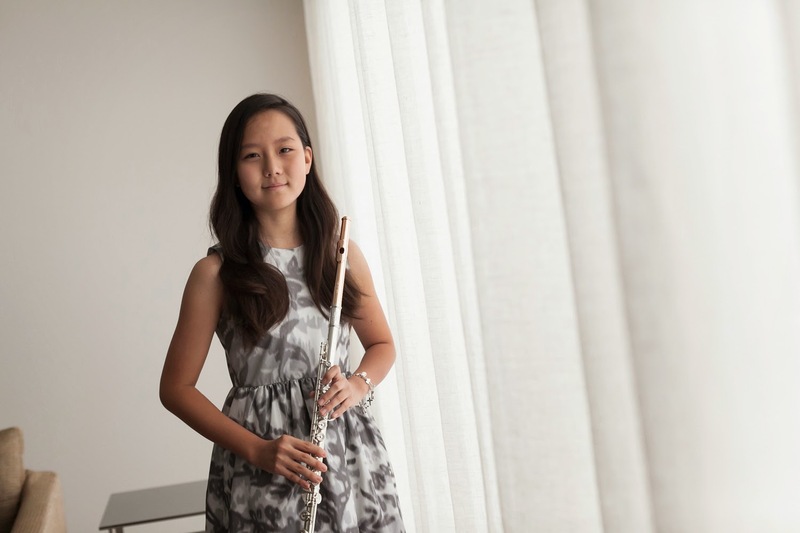 With the guidance of her flute teacher, Larisa Tupitsyna, Madeleine has developed a passion for playing the flute. Madeleine has competed and placed in music competitions around the world- USA, Italy, Japan, and Singapore. Madeleine’s most favorite part of playing the flute is being able to play with other musicians in an orchestra or ensemble. 5. March 2013: Grand Prize Winner in PRIMA Artists International Competition 2013 for Ensemble Category. 6. October 2012: 1st Prize Winner in Alexander and Buono Flute competition (Elementary School Category). 7. September 2012: 1st Prize Winner for the Ensemble Category and 4th Prize Winner for the Infant Category in Osaka International Music Competition. 9. April 2012: 1st Prize Winner and Judges Distinction in the Protégé International Music Competition. Performed at Weill Recital Hall in Carnegie Hall.